We are back! 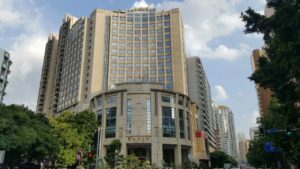 The trip to China, taken by Baker and Rannells, P.A., President and Senior Partner, Stephen L. Baker and Associate Attorney, Pei-Lun Chang, yielded all intended results. 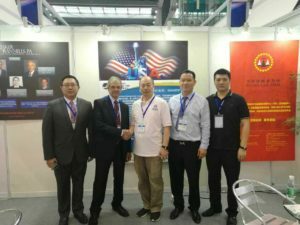 In September 2016 Baker and Rannells, PA, the notable and highly regarded law firm specializing in intellectual property law, initiated the first step of its planned expansion into China. During the ten day trip we strengthened alliances and cooperative efforts with our strategic partners. We also reaffirmed our law firm’s dedication to our already strong list of clients based in China. There was a renewed sense of need for the removal of roadblocks faced by Chinese companies looking to move into U.S. markets, adding to the list of Chinese needs beginning with licensing, trade mark registration and patent filings. There are also new and renewed concerns in the areas of client vetting, enforcement of client intellectual property rights and immigration law representation for businesses and individuals. The most exciting benefit of the trip to China is the newly expanded relationship Baker and Rannells, P.A. will enjoy with its strategic partner, Huake Law Firm. Through this enhanced relationship with Huake (practice limited to China), both Baker and Rannells and the Huake Law Firm will each maintain offices within the other’s headquarters location. This gives each firm access to local talent, knowledge, expertise and services which are vital to accommodate the needs of their respective clients in both China and in the United States. Baker and Rannells is excited and appreciative for every one of its clients in all the countries we service. 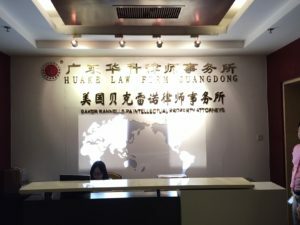 Now through our continued and expanded endeavors in China, we are excited about our expanded client service the firm now offers and about the cultural expansion our relationship with Huake provides. Check back in October 2016 for information and an update as Huake Law Firm visits the United States and on the Baker and Rannells, P.A. trip to the APAA2016 in Bali.